With the new NDIS, many people are exploring self-management of their funding, and direct employment of their support workers. A few months ago, we were contacted by a Local NDIS Coordinator from northern NSW. They were looking for a version of our Instant HR Policies and Procedures Manual specifically written for Australian people with a disability, their families and carers who self-manage all or part of their NDIS funding, and have chosen to employ, or are about to employ their own support workers. You see, there are legal obligations that come with the employment of staff, and most families and carers were struggling with what being an employer meant they needed to do. Today, we have launched our NDIS Self-Managers Direct Employment HR Manual to help address this need. We have developed it in collaboration with a number of Local NDIS Coordinators and people with disabilities. 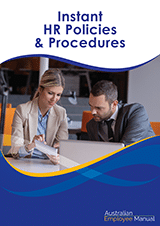 This manual contains the essential Human Resource policies families and carers need to help them comply with their employment obligations. While it covers much of the same ground as our existing manual, it has been simplified even further, with the language adjusted to specifically deal with people with a disability and their support workers. The NDIS Self-Managers: Staff Employment Manual is written as a series of policy and procedure templates. These join to form an Employee Manual for support workers, explaining their rights, responsibilities and entitlements, as well as outlining the practicalities of how these will work for the support situation. A detailed “Before engaging staff” section, telling people what they need to do to comply with all the National Employment Standards, Industrial Award, Payroll, PAYG Taxation, FBT, Superannuation, Workers Compensation & Other Insurance requirements. One thing to note: This manual is not designed to help people decide whether self-management of their NDIS funding is the best option for them. Their Local NDIS Local Area Coordinator (LAC) or NDIS Planner can help people assess the options and make a realistic assessment of what works best for them. Also, we have taken the opportunity to re-look at the backend of our website, and now have additional purchasing options available, as well as a simpler method to stay current with all the updates that happen throughout the year through a recurring subscription. 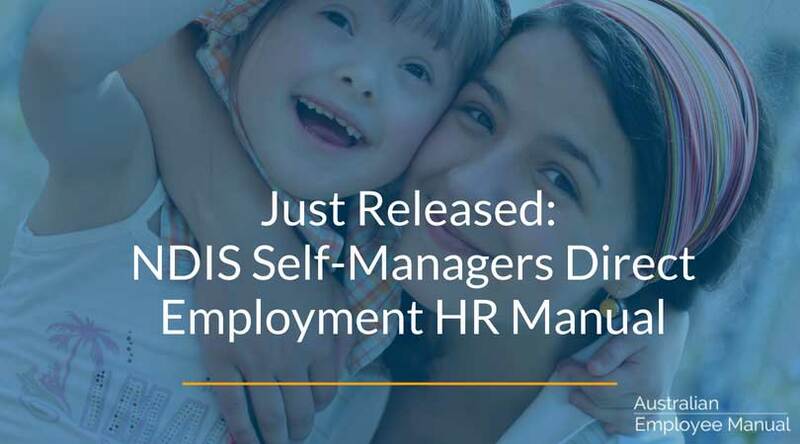 Check out our new NDIS Self Managers Direct Employment HR Manual, and share it with anyone you know who is heading down the path of hiring their own support workers.